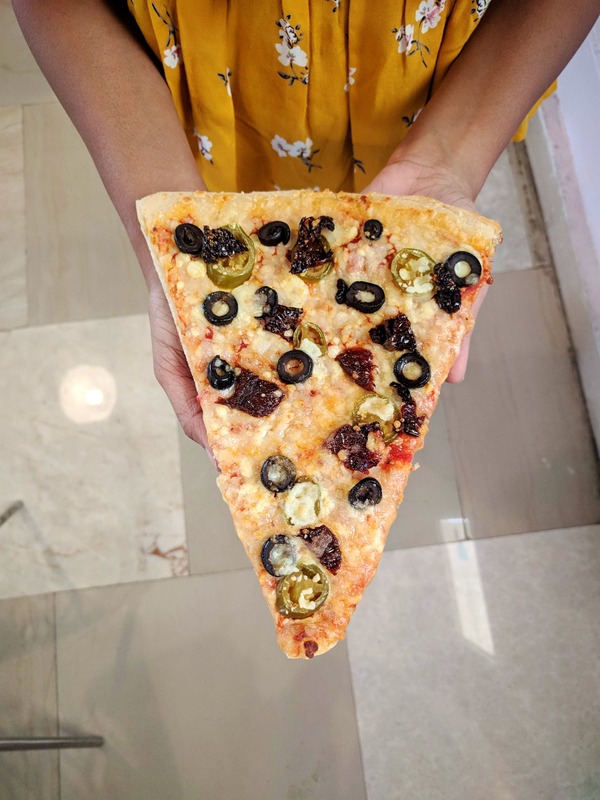 Did we go bonkers when we discovered New York Slice? Oh, yes, we did! Delivering pizzas by slice or full, we were quite over the moon when we tasted these pizzas. No grease or excess of cheese, these slices are just like how they are made in New York. Fancy eating them by folding 'em like Joey? Then try out Rockefeller which is sure to spice up things than they already are, or go for Brooklyn Heights which comes with chunks of Chilly Chicken. If bacon is what you demand, you shall have it with United States Of Bacon. All these pizzas are named after areas of New York or make those references and come as slices or as your usual small, medium, and large sized pizzas. Along with pizzas, get your fill of Strombolis, chicken wings, sandwiches, pasta, fries, and garlic bread. Done with pizza? It's a sin to not indulge in their Oreo Surprise or Chocolate Truffle Pastry. And the best part? They deliver beyond midnight till 2.30pm. What fun!